I recently used a batch fix to disallow CC on random (was getting some weird things with townies), but when I went back into my game all of my custom sims had their CC removed (no hair, no brows, make up, eyelashes, etc). I really don't want to go back and have to remake every single one of them (I have... several dozen sims that I've spent hours on) - so what can I do to fix it? I ran the allow cc for random fix, hoping it would reset things, but that didn't do a thing. Will loading an older save work? Or have I messed things up entirely? You just saved my game! Thank you so much - I didn't know about the backups! Hi thecatsred , the issue you're describing is not supposed to happen. 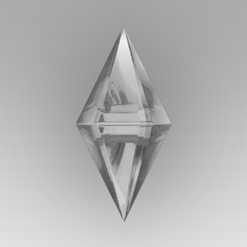 If you have a package or two that you know disappeared from your custom Sims after running the batch fix, it would be very helpful if you could PM me with these so this problem can be investigated. We do not want this batch fix affecting custom Sims.